Lot 1 on Carson Avenue in Lake Elsinore, the fastest growing City in Riverside County and Southern California. 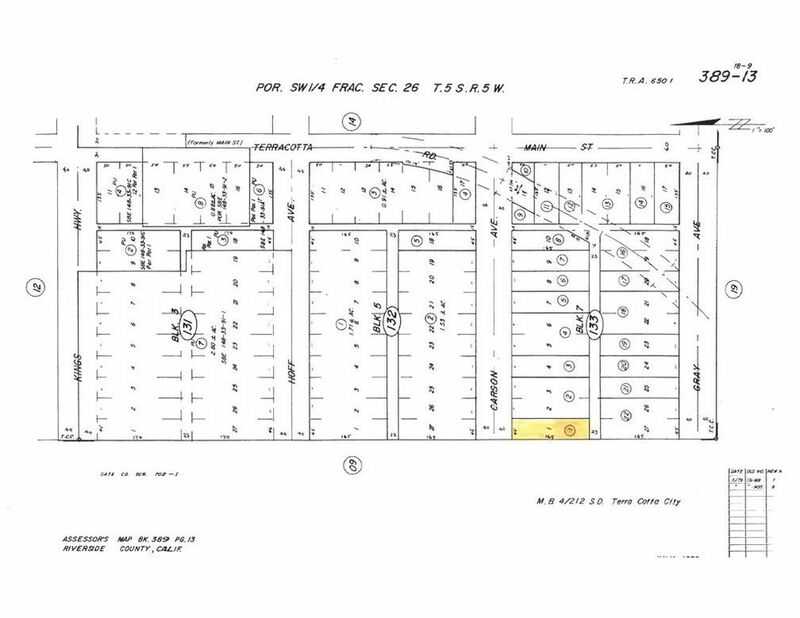 45X165 Parcel is 7, 690 sq. ft. and allows for Manufactured Homes and has a 23' easement at the back of lot for additional privacy. Corner parcel. Propane and septic area. Close to all services, schools, churches and all Lake family activities. Historic Main Street minutes away. Close to paved roads and easy access to the I-15. Great investment lot!